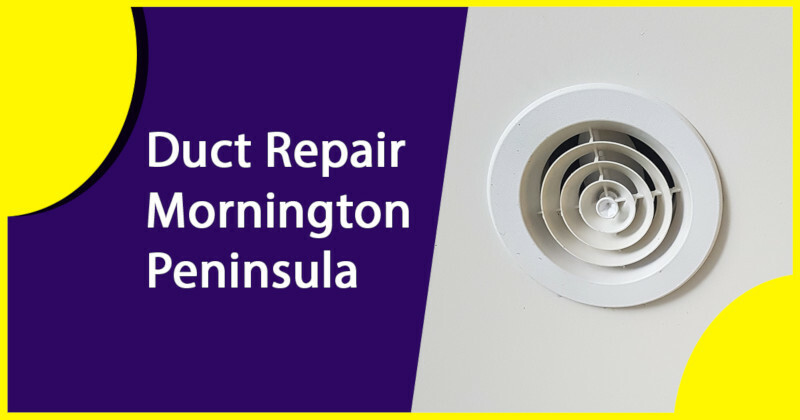 Duct cleaning Mornington Peninsula service. 20% OFF. Ducted Heating Cleaning Mornington Peninsula. Book Now. At Fine Duct Cleaning Melbourne we pride ourselves on two things, our customer satisfaction and our quality service. If you need to hire duct cleaning Mornington Peninsula service then you should contact us today! We have a professional team of technicians ready to help you get your ducted heating cleaning done at an affordable price. Our specialists are trained in maintenance and repair of a wide range of popular models, including LG, Daikin, Mitsubishi, and Panasonic – just to name a few. We also provide a top-notch cleaning service at an affordable price. Fine Duct Cleaning is equipped to tackle a number of cleaning jobs for both ducts and the heating/cooling units attached to them. As winter hits, the demand of ducted heating cleaning Mornington Peninsula increases significantly. 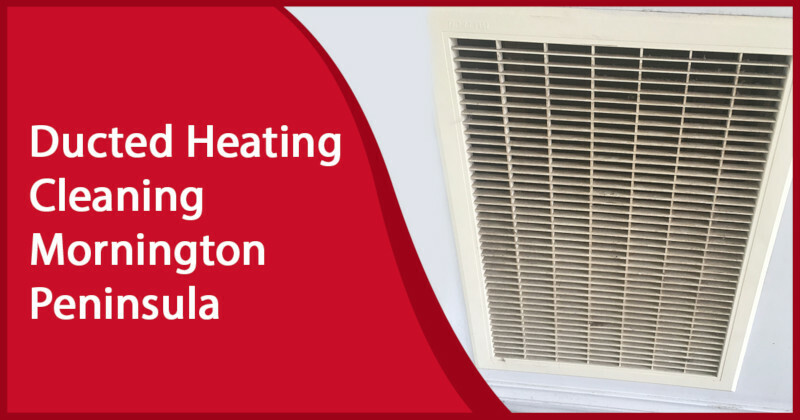 We are a one-stop shop for entire gas ducted heating cleaning needs in Mornington Peninsula. A cleaning ducted heating system provides you with quality healthy air in your home and if you may not clean for a long time then the hot air quality will reduce. If you are in need of any of the above or have any questions about what kinds of tasks our team can perform for you, our staff will be happy to help discuss your options further. Its worth inspecting your duct system by a trained technician to ensure all are in order. A faulty ducted heating system requires proper repair to ensure it performs better. If you are in the hunt for a quality duct repair Mornington Peninsula then you should call Fine Duct Cleaning today and get a quote. Keeping your ventilation and temperature control systems in proper working order is key to maintaining temperature efficiency in your home or business, and cutting down on the costs of power consumption. For this kind of job it is always a good idea to work with a trained expert, as improper installation or attempts at repair can damage a system, drastically reducing system effectiveness and making it more of a burden on the electricity bill rather than less. Not to mention the sense of security that comes from knowing you aren’t breathing in any unwanted pollutants. So if you are ready to feel the effects of your ventilation installation receiving the finest care and attention that can be offered in Melbourne, contact Fine Duct Cleaning today! The cost of duct cleaning Mornington Peninsula depends on various factors like the number of floor and ceiling ducts you may have in your house which needs cleaning along with the cost of return vent and the unit cleaning. If you may not have cleaned your ducted heating system for a long time then you may require a more powerful cleaning which will require more time and the cost. One of the best ways to keep your duct cleaning cost down is to keep them cleaning and have it inspected on time. Its like any mechanical product the longer you live unchecked the worse it may get. Call our customer service line and get the price to clean your duct system in Mornington Peninsula. If you are looking for cheap duct cleaning Mornington Peninsula service then you can call us, please note that we are not the cheapest in the market but we are not very expensive either. We provide affordable and quality service. The systems are different in different houses. Some have heating and cooling ducts whereas some have only gas or electric ducted heating system. As they are different the cleaning procedure is also different. If you need cooling duct cleaning in Mornington Peninsula then the cost may be a bit higher in comparison to heating duct cleaning. We have technicians with years of experience and we are here to provide you with the best experience. 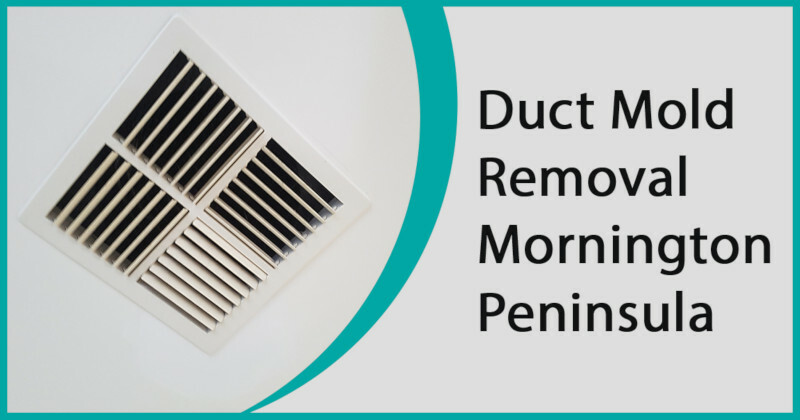 As part of the cleaning, we do a proper duct mold removal to ensure you get healthy air. Often mold gets introduced to the duct if they are not maintained properly and sometimes also because of leakage. We have the most modern tools to remove mold from your duct and keep them in a perfect condition. Have your ducts been cleaned recently? Dirt, dust and mould can gather inside your duct systems and be recycled around the house, potentially triggering asthma and allergies. Not to mention the opportunity some wildlife will take to use your ventilation as a convenient stomping ground. Whether it’s roaches or rodents, it’s not a pleasant thought, and it introduces the possibility of further bacterial contamination. 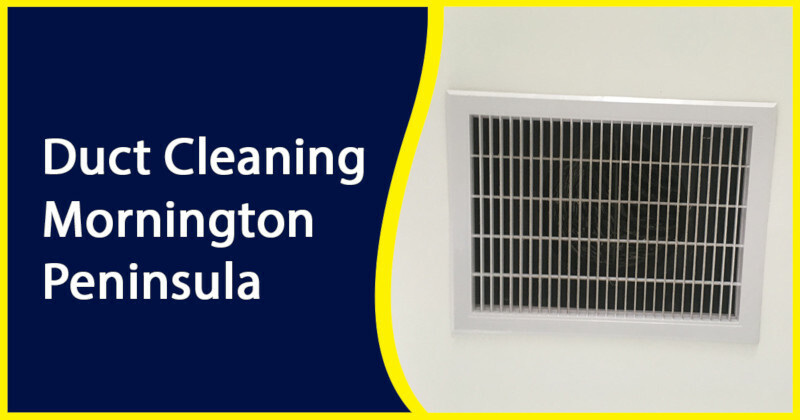 This makes cleaning important for hygiene, freshness and overall air quality, even in the Mornington Peninsula area. If you are looking for the best duct cleaning company to provide amazing service in Mornington Peninsula then call us today. Whether you’re situated to catch a nice sea breeze or are further in-land, there are days when you want to bundle up and put the heater on, or need a powerful AC to keep the hot summer at bay. At times like these, you want to be able to rely on efficient and safe devices, on a duct system that you know is circulating clean air rather than something that looks like the inside of a used vacuum cleaner. However, attempting to clean it yourself is ill-advised. Without professional care and training it’s possible to accidentally expose yourself and your home to pollutants and make the overall scope of the contamination worse by releasing it into your general living space. This is why it’s important to contact qualified technicians, like those from Fine Duct Cleaning, as we offer our expertise and services with quality of service is guaranteed.